These are just some examples of obstacles to change; there are certainly many others that may arise. And, an obstacle identified for one change initiative may not arise in a future change initiative. Take the time to understand what obstacles you might be facing prior to officially communicating and launching a change initiative. It is much easier to manage obstacles before a change is officially launched. For one client, prior to the launch of a complex change initiative, Abudi Consulting Group asked employees what would concern them about the change. This question was asked to engage employees in conversations about change and surface any obstacles. The question was asked via an online survey, focus group sessions and through informal conversations. The data gathered helped to structure a communication plan to address perceived obstacles. 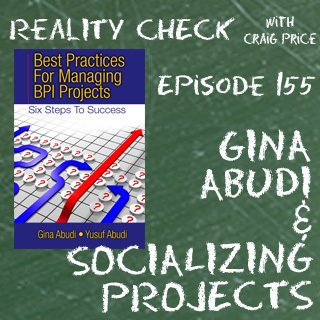 Develop a communication plan with a focus on addressing and managing obstacles. For example, if an obstacle is concern over whether employees will have the skills and knowledge necessary to implement a new process; communicate about training that will take place to provide employees what they need to successfully utilize the new process. When communicating about an upcoming change, be sure to share the reason why the change has to happen and the benefits of the change to the organization and also to the employees. Ensure communications enable for a variety of channels to get feedback, and actively reach out and look for feedback from employees. The more you communicate and engage employees in the change, the more you will remove any obstacles that may impact the long-term success of the change. These are just a few ideas to improve your next organizational change initiative. Want to learn more? 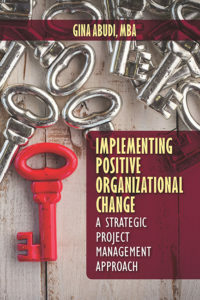 Purchase Gina’s book, Implementing Positive Organizational Change: A Strategic Project Management Approach, J Ross Publishing, 2017.